The Scottsdale hotels and resorts on this page are my recommendations for places to stay when visiting Downtown and Central Scottsdale. There is no legal definition of "Downtown Scottsdale" or "Central Scottsdale" that I know of, but, distinguished from North Scottsdale, I am including resorts and hotels from South Scottsdale (near Tempe) and north up to about Indian Bend Road (about 7000 North as an address). Downtown Scottsdale would be my choice for a place to stay if you need to be centrally located in the Valley, with a relatively easy drive to various parts of town, nearby shopping and attractions, close proximity to the airport and downtown Phoenix. For example, if you are visiting here to attend Spring Training baseball games (Cactus League), and you'll be hitting all the stadiums and not just one or two, Downtown Scottsdale gives you pretty easy access to them all, since the Loop 101 can get you to most of them, and city streets can get you to the ones in Scottsdale, Phoenix, and Tempe. These Scottsdale hotels are more likely to fit a limited budget when visiting the Scottsdale area, although nothing in Scottsdale would be considered cheap. These Scottsdale hotels with a couple of miles of the Loop 101, giving easy access to the rest of the Valley of the Sun and are within a few miles of Old Town Scottsdale, 5th Avenue Shops, and the Downtown Scottsdale arts district. Check guest reviews and prices for Best Western Plus Sundial on TripAdvisor. Check guest reviews and prices for Chaparral Suites Resort Scottsdale on TripAdvisor. Check guest reviews and prices for Days Hotel Scottsdale on TripAdvisor. Check guest reviews and prices for Extended Stay America on TripAdvisor. Check guest reviews and prices for Gainey Suites Hotel on TripAdvisor. Check guest reviews and prices for Holiday Inn Express Hotel & Suites on TripAdvisor. Check guest reviews and prices for Magnuson Hotel Papago Inn on TripAdvisor. Check guest reviews and prices for Motel 6 Scottsdale on TripAdvisor. Check guest reviews and prices for Scottsdale Resort & Athletic Club on TripAdvisor. Check guest reviews and prices for Scottsdale Resort at McCormick Ranch on TripAdvisor. These hotels and resorts are all especially convenient to Downtown and Central Scottsdale. Check guest reviews and prices for Andaz Scottsdale on TripAdvisor. Check guest reviews and prices for Canyon Suites at The Phoenician on TripAdvisor. Check guest reviews and prices for Courtyard Scottsdale Old Town on TripAdvisor. Check guest reviews and prices for Courtyard Scottsdale Salt River on TripAdvisor. Check guest reviews and prices for DoubleTree Resort by Hilton on TripAdvisor. Check guest reviews and prices for Hilton Garden Inn Scottsdale Old Town on TripAdvisor. Check guest reviews and prices for Hotel Valley Ho on TripAdvisor. Check guest reviews and prices for Hyatt House Scottsdale on TripAdvisor. Check guest reviews and prices for Hyatt Place Scottsdale/Old Town on TripAdvisor. 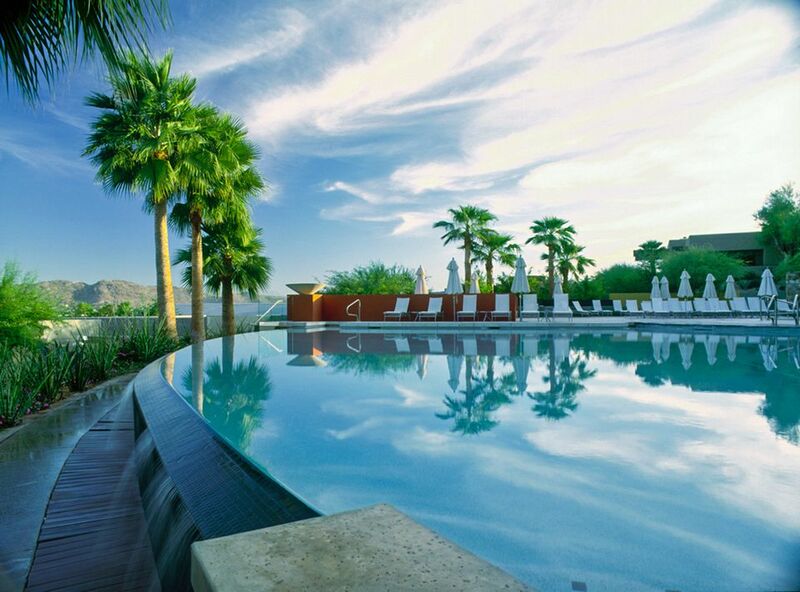 Check guest reviews and prices for Hyatt Regency Scottsdale on TripAdvisor. Check guest reviews and prices for The Phoenician on TripAdvisor. Check guest reviews and prices for Residence Inn Scottsdale Paradise Valley on TripAdvisor. Check guest reviews and prices for The Saguaro on TripAdvisor. Check guest reviews and prices for Sanctuary Camelback Mountain on TripAdvisor. Check guest reviews and prices for The Scott Resort on TripAdvisor. Check guest reviews and prices for Scottsdale Camelback Resort & Spa on TripAdvisor. Check guest reviews and prices for Scottsdale Marriott Suites Old Town on TripAdvisor. Check guest reviews and prices for W Scottsdale on TripAdvisor. If none of these properties are within your budget, my next choice would be Downtown Tempe, which is south of Scottsdale. Here are some choices for hotels in Downtown Tempe that are bound to be a bit more reasonably priced than Scottsdale. Are you visiting Scottsdale to attend Spring Training Baseball games? Here are maps of the Cactus League Stadiums in the Phoenix area. Have You Been to the Wild Horse Pass Hotel & Casino in Arizona? Staying in Carefree or Cave Creek? There Aren't Too Many Choices!